There are two types of members on Mash.ie - customers and sellers. In order to sell products on Mash.ie, you must register an account. This makes you a member of Mash.ie and gives you a number of benefits, including special offers and a regular newsletter. When you register as a member of Mash.ie, you will automatically be signed up for the Mash.ie newsletter. This service is provided by SendInBlue. It is highly recommended that sellers, in particular, remain signed up, as there are times Mash.ie needs to relay important news in terms of changes to the service. Your username or store name cannot contain any offensive, discriminatory, obscene, inappropriate or defamatory content. Any account with such a name will be deleted and all sales/income will be invalidated. Your store name should not be the same as another user’s store name. If we find more than one store with the same name, Mash.ie holds the right to change any store name. While generally this will be decided by whoever has opened their store on Mash.ie first, there will be cases where Mash.ie will change the name of a store that was opened before another of the same name, (e.g. the name of the store may already exist on the web outside of Mash.ie.) We advise sellers to open stores with easy to remember and unique names. Mash.ie will contact sellers by two means: Announcements: these will be displayed on the seller’s Dashboard. Email: if a seller has signed up to receive a newsletter, they will receive information by email. It is recommended that all sellers check their dashboard regularly. Any product uploaded must be a digital product, not a physical product, and must be downloadable immediately upon purchase. All products must be made or designed by the member. If you are working with another partner or team, the member is fully responsible for their own terms and conditions for these other people. Mash.ie will only deal with the member. The member must only use content (including all multimedia and media) that they have made themselves or have full permission to use. Mash.ie takes no responsibility for any content used/uploaded on its website. As Mash.ie is the hosting provider of content, the member will be fully responsible for any breach of intellectual property, copyright infringement, etc. and any costs associated with any breaches. Please see section below (Copyright, Intellectual Property, Trademarks) if you believe that your content has been copied. The member will provide honest, accurate information about each product. Should a customer download a product that has been described inaccurately, the member will be responsible for refunding the customer. Members should not create duplicate stores or products. If you have the same product online more than once, you must remove it. Repeated offenders will have their account suspended. Products must never contain discriminatory, obscene, inappropriate or defamatory content. Members will be completely legally responsible for all language used in their store. Products must never be false, deceptive, or misleading to the customer. Sellers should be clear in their descriptions of their products. Any comments that are made on the seller’s store are not the responsibility of Mash.ie unless Mash.ie makes the comments. Any comments from users will be the full responsibility of the user and Mash.ie will give as much information as possible to relevant people, including authorities, should a member make an inappropriate comment. Mash.ie will remove any comments upon request on a case by case basis. Members must never upload content that does not belong to them or that they have not created. Members must not upload or use logos belonging to another organisation or business. For example, if a member is using old college notes, the member must ensure that the logo of the college does not appear anywhere in the document. 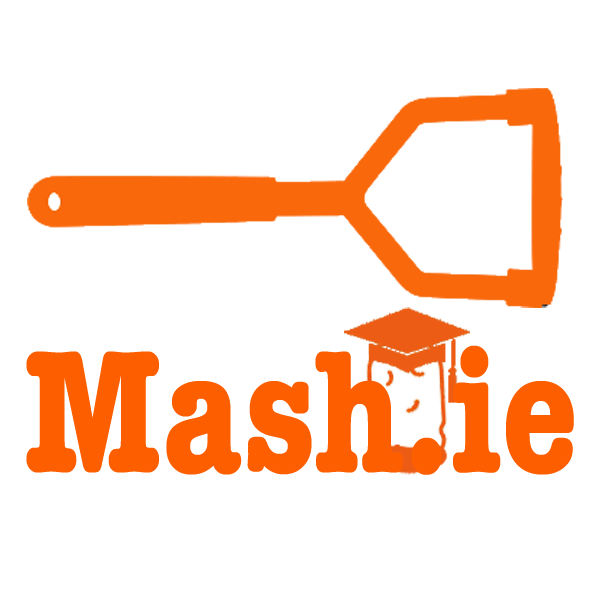 Mash.ie is a service provider and merely hosts the content produced by sellers. Members are legally responsible for all content that is uploaded and Mash.ie does not make legal calls, judgements on resources, and so on. The site relies on individuals, agencies and organisations to report any breaches. Mash.ie makes it easy to report this and will help any rightful owner of content in contacting members. Should there be a breach of copyright, plagiarism or infringement, the member will be fully accountable for the complete cost of reimbursing the original owner of the content. This cost equates to 100% of the sales (that is the 70% commission plus 30% to compensate Mash.ie) plus any other fees, fines or legal costs associated with it. Mash.ie may also suspend or terminate your account for any violations. This will be decided on a case by case basis. Process for Reporting Copyright, Intellectual Property, Trademarks, etc. A clear description (with links/URL) to the items that you believe to be infringing on copyright or trademark. You will need to be specific about where exactly the infringement takes place. A paragraph explaining how you believe that the product has not been authorised by the copyright holder and why. Any other information that will help us to investigate your claim. When Mash.ie receives the full details outlined above, the editors will forward on the claim to the relevant seller. Mash.ie has the right to remove the items immediately pending discussions between the claimant and member. The member will have no more than 7 working days to respond to the claimant and Mash.ie. A paragraph to respond to the claim. Mash.ie will pass this information to the claimant. If the claimant wishes to take further action, we must respect their right to do so and the products will remain removed from the website. Should the claimant not wish to take further action or fail to respond within 7 working days, the products will be restored to the site. The member must also pay the outstanding 30% that Mash.ie earned from the sales. This covers Mash.ie’s time and own costs from the sale of items. The member must also pay any legal costs or any other costs associated with the claim. Mash.ie cannot provide legal advice to members on copyright or trademark law. Members are better placed to discuss these matters with their own solicitor.